You will be hard pressed to find a point so hard and so sharp as you will find on this Kershaw Zero Tolerance Scavenger model 0400ST. 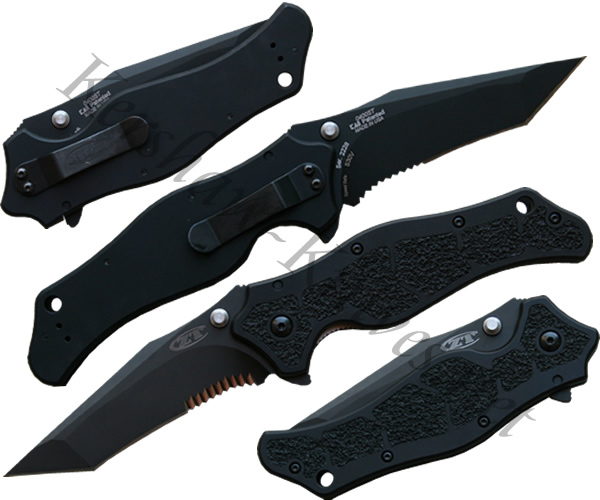 This is the serrated version of the Zero Tolerance Scavenger models. The Scavengers are slim and feature a smooth side and grip side on its aluminum handle. The smooth side was designed so that the knife slips into and out of your pocket easliy. The pocket clip can be configured so that you can carry the knife tip-up or tip-down. The Zero Tolerance Scavener knife is MADE in the USA and has an S30V stainless steel, non-reflective blade.